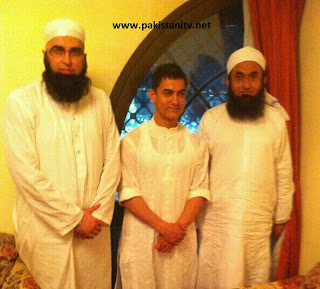 Karachi: Aamir Khan, Maulana Tariq Jameel, Shahid Afridi and Junaid Jamshed Mettings in Makka During Hajj Exposed. Junaid Jamshed reveal the events information. “Amir Khan was not allowing Maulana keep, he was not allowing us go,” Junaid Jamshed Said.